It was a great sigh of relief to see the option to login from the LinkedIn home page...so cumbersome it was to click on Sign In and then get the page to enter your login credentials! 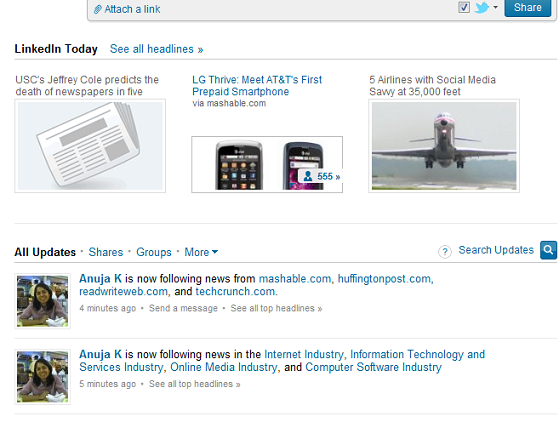 An interesting feature rolled out is now you get the LinkedIn Today news headlines on top and then rest of the updates on your home page. To embed the widget in website you simply have to click on 'Get Code' button, copy and paste the code at the required place. So easy, so useful! Thanks LinkedIn! !